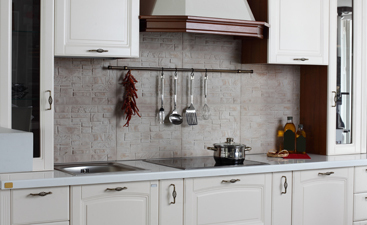 Kitchen Tiles Thousand Oaks: Finish That Backsplash! All too often we see this situation: After a long renovation, full of decisions and “living through” a lack of creature comforts, families stall out and say “good enough” when the project is mostly done. For some reason, the tile backsplash is quite often the halting point of a nearly-done home renovation. Why You Should Finish the Job & Install That Backsplash! We see people in the store all the time shopping for a tile backsplash for a kitchen that has long since lost its feeling of newness; these folks very rarely feel enthused about the fact that they’re back in a tile shop a full year after they first felt “done” with their renovation, but often walk out thrilled and wishing they’d just come in sooner. Today, we’ll help you to avoid this fate with a little well-placed wisdom. First and foremost, it should be noted that tile backsplashes serve an important purpose that goes beyond their visual appeal: They help to keep your kitchen safe. This is far from an understatement, as the incredible destructive power of a little moisture can quickly ruin your newly installed counter and cabinets, plus wreak havoc in your kitchen’s walls and floors. The tile backsplash acts as a waterproofed buffer in these most vulnerable areas, protecting everything that lies behind and under your cabinets and counters. Just remember, while you take a year to live in your newly (mostly) complete kitchen, the moisture, puddles, spills, and stains don’t suddenly take it easy on your walls and floors – instead, they’re creating a risk of damage, mold, staining, and more. When you’re in the throes of a renovation, it becomes second-nature to juggle numerous style decisions and meet crews at your home to continue the work. When all that is over? The last thing you want is another set of installers waiting on your doorstep during your lunchbreak all over again; you want to live in your home in some well-deserved peace and quiet. 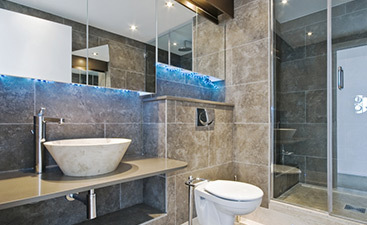 For this reason alone, getting your backsplash purchase and installation out of the way is entirely worthwhile. 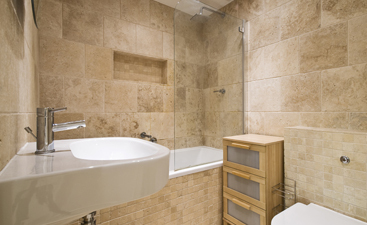 Plus, the people you have installing your kitchen tile floors (you did go with tile, right?) should be able to handle your backsplash as well; scheduling both with the same crew gives you peace of mind and could even save you a couple of bucks. At the end of the day, the best way to get motivated about finishing this small, yet important, project is by remembering that the breath of relief that you offer forth at the end will be so incredibly worth it. Think of all the people that will see your home in the first year after a renovation, then imagine two scenarios: One where you make the same excuse over and over again, pointing out that you’ll finish that backsplash (someday); another where your beautiful new kitchen speaks for itself. Of the two, which would you prefer? You know the answer already. At Transworld Tile, our team is well-versed in kitchen backsplash tile selection for a wide variety of projects and budgets. When you stop in, you’ll know that you’re getting the most experienced help the San Fernando Valley has to offer. Working with our tile backsplash experts, you’ll quickly find a tile that matches your style and budget; you’ll also be one important step closer to finally being done with this lengthy, yet worthwhile, home improvement project! 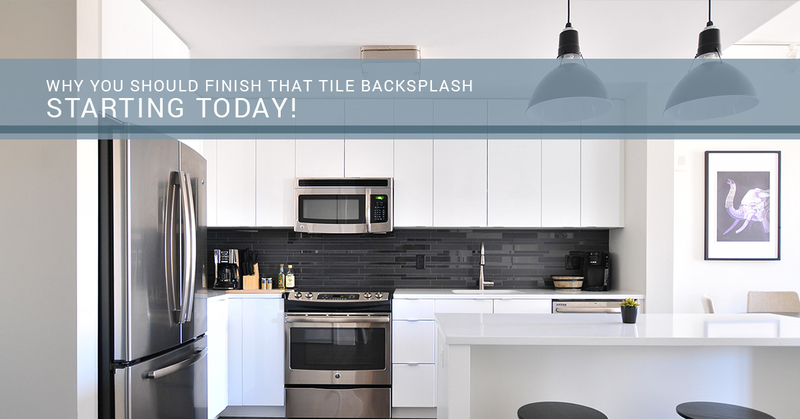 Find true after-renovation relief with a tile backsplash from Transworld Tile - starting today!